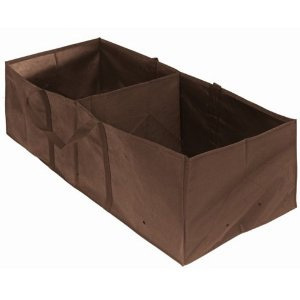 What a fabulous idea, this tough little 125 litre planter is made from a strong non-woven fabric and has built in carry handles which wrap under the base for added strength and drainage holes in the base. Ideal for growing summer salad vegetables, flowers or for potting on plants and thanks to the handles can be moved to where you want to re-plant with ease. Perfect for growing tomatoes and peppers and other vegetables.